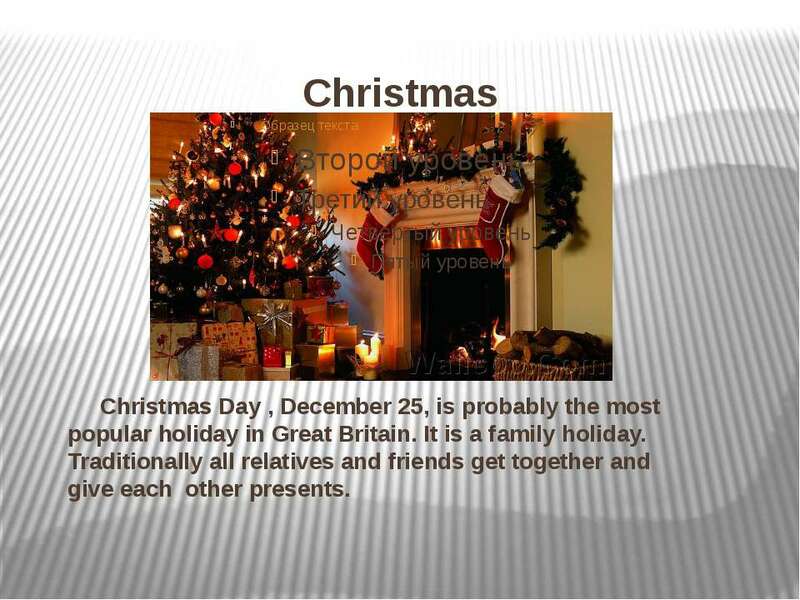 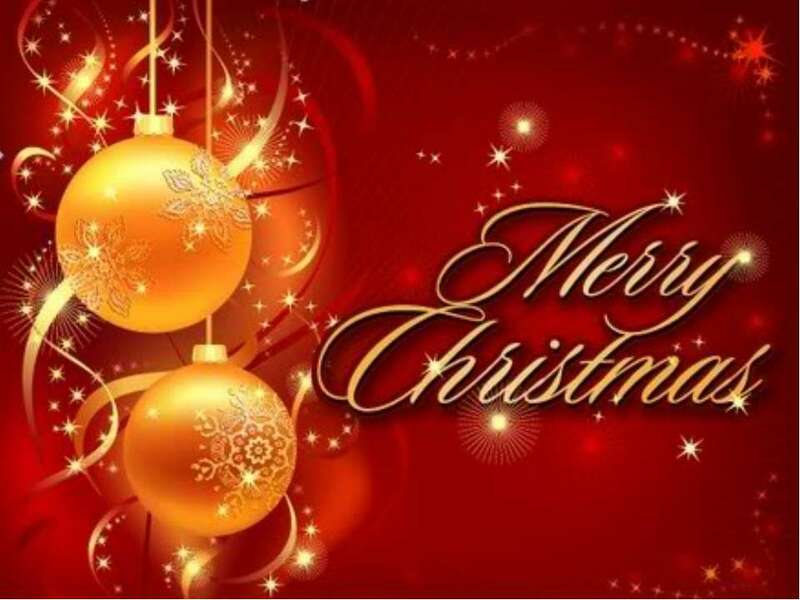 Christmas Christmas Day , December 25, is probably the most popular holiday in Great Britain. It is a family holiday. 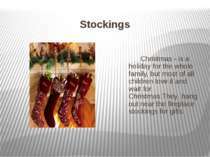 Traditionally all relatives and friends get together and give each other presents. 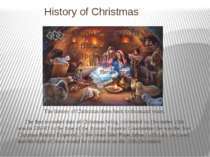 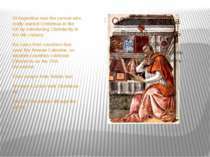 History of Christmas The history of Christmas dates back to thousand years. The first recorded date of Christmas being celebrated on December 25th was in 336AD in the time of the Roman Emperor Constantine (he was the first Christian Roman Emperor). 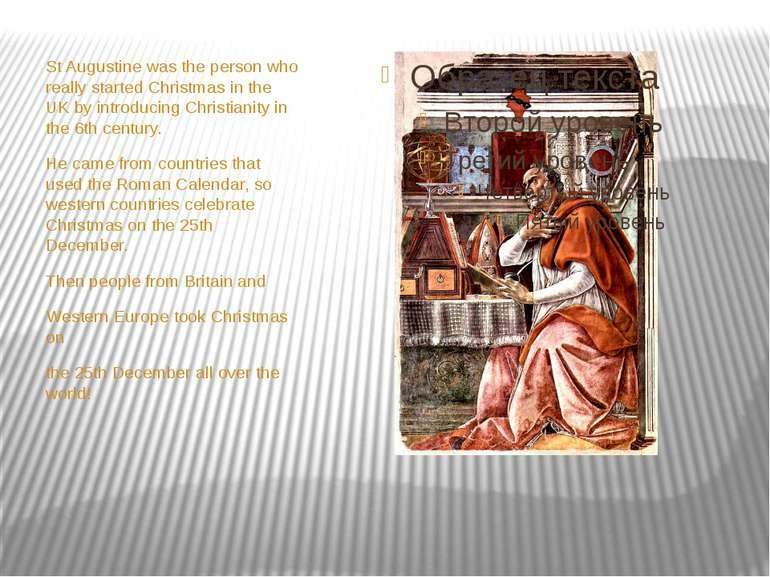 A few years later Pope Julius I officially declared that the birth of Jesus would be celebrated on the 25th December. 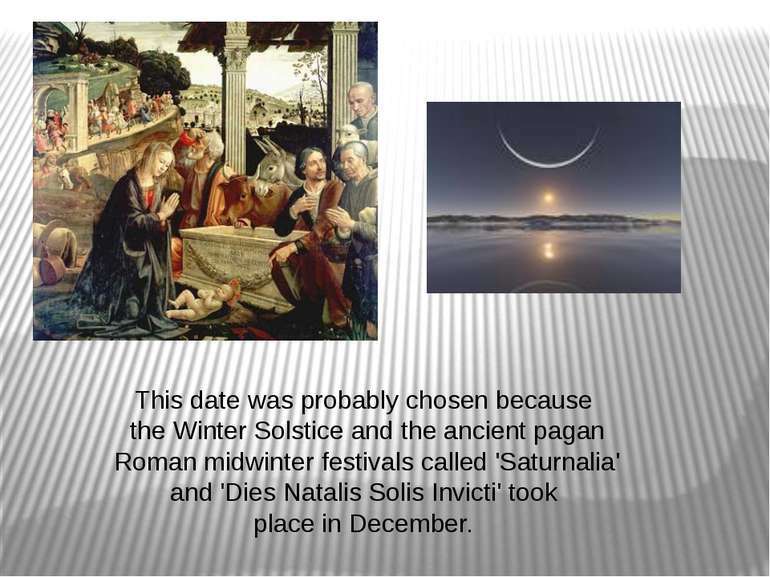 This date was probably chosen because the Winter Solstice and the ancient pagan Roman midwinter festivals called 'Saturnalia' and 'Dies Natalis Solis Invicti' took place in December. 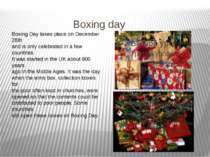 Boxing day Boxing Day takes place on December 26th and is only celebrated in a few countries. 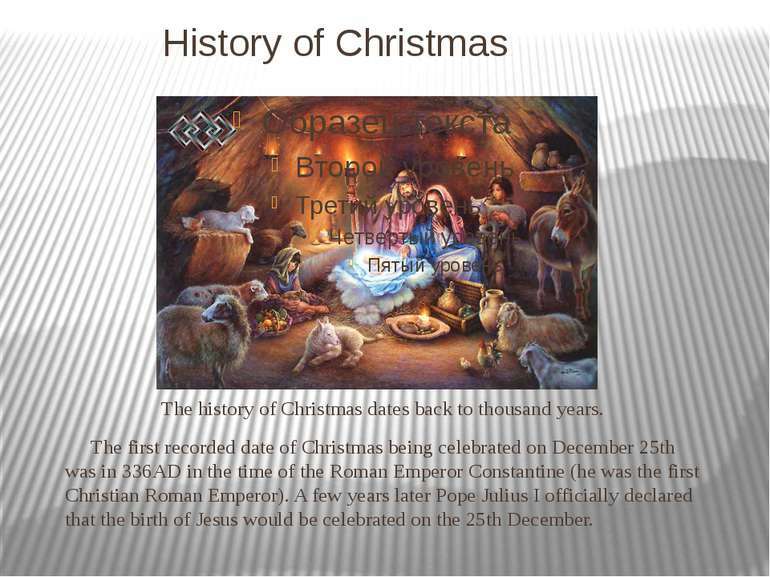 It was started in the UK about 800 years ago in the Middle Ages. It was the day when the alms box, collection boxes for the poor often kept in churches, were opened so that the contents could be distributed to poor people. 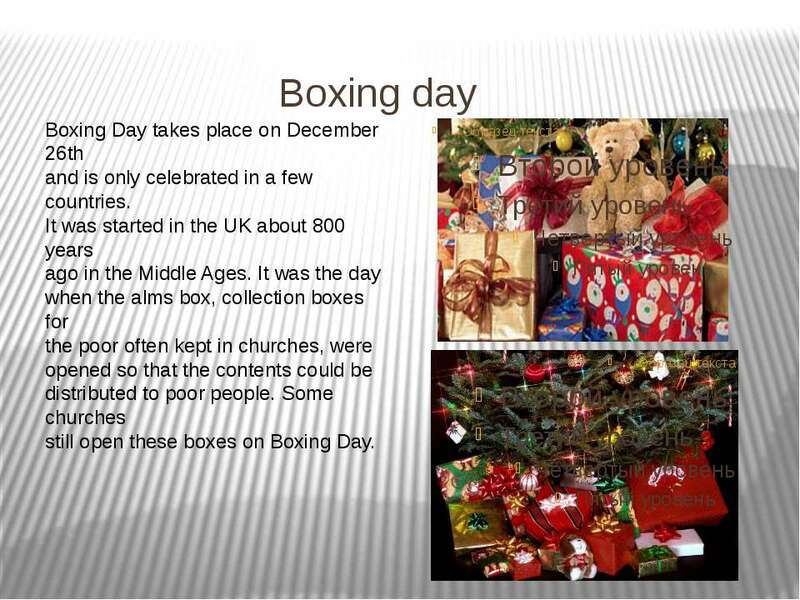 Some churches still open these boxes on Boxing Day. 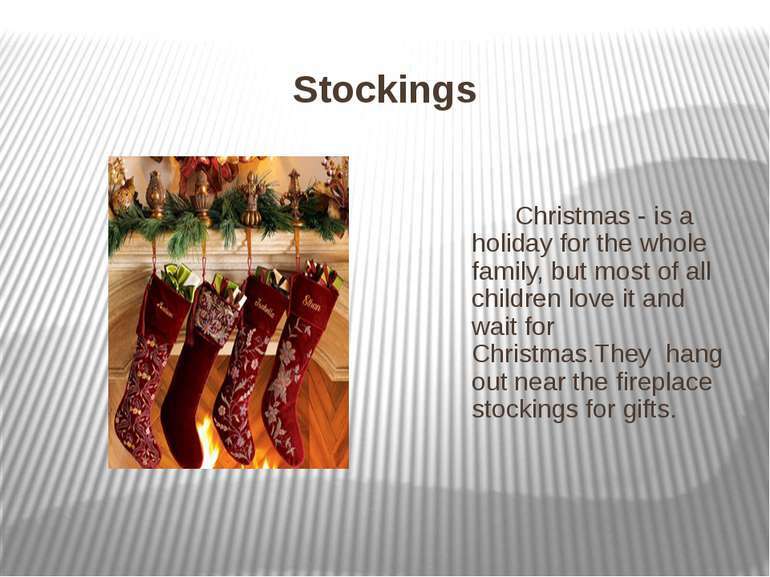 Stockings Christmas - is a holiday for the whole family, but most of all children love it and wait for Christmas.They hang out near the fireplace stockings for gifts. 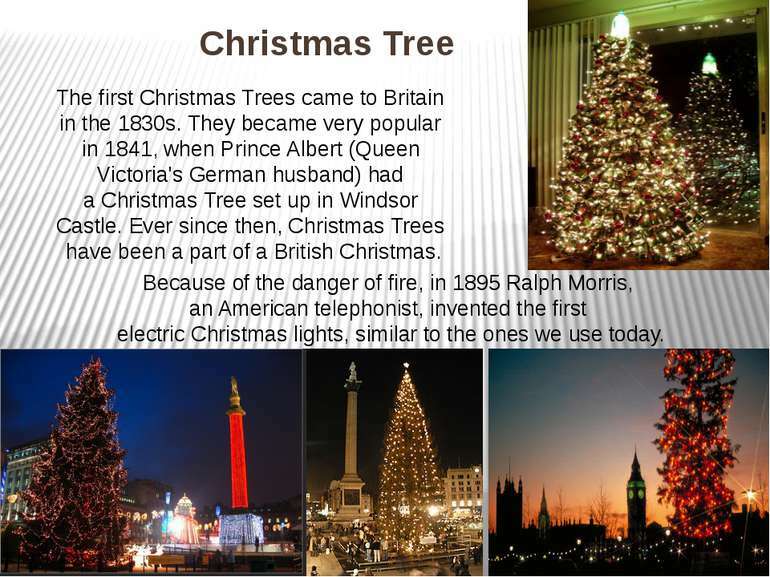 Christmas Tree The first Christmas Trees came to Britain in the 1830s. 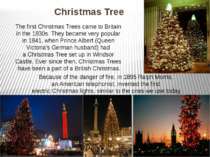 They became very popular in 1841, when Prince Albert (Queen Victoria's German husband) had a Christmas Tree set up in Windsor Castle. 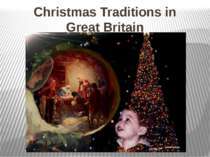 Ever since then, Christmas Trees have been a part of a British Christmas. Because of the danger of fire, in 1895 Ralph Morris, an American telephonist, invented the first electric Christmas lights, similar to the ones we use today. 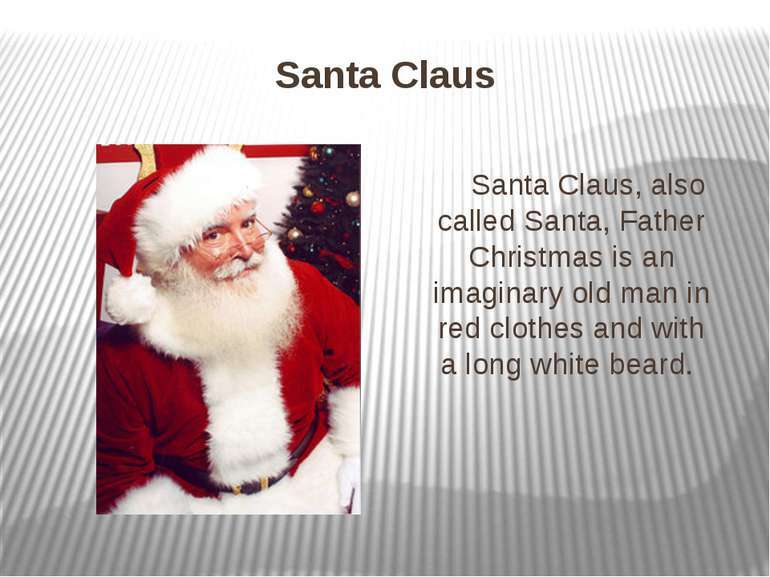 Santa Claus Santa Claus, also called Santa, Father Christmas is an imaginary old man in red clothes and with a long white beard. 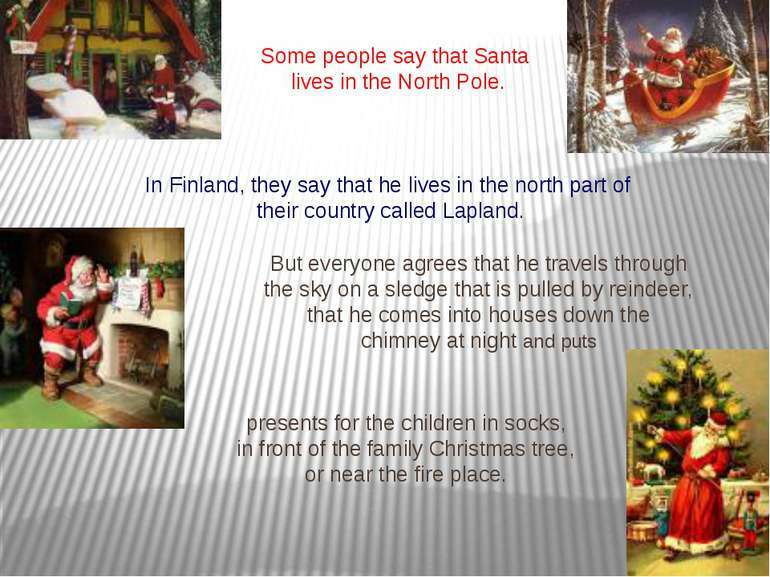 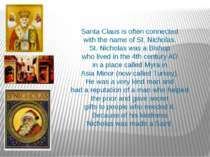 Santa Claus is often connected with the name of St. Nicholas. St. Nicholas was a Bishop who lived in the 4th century AD in a place called Myra in Asia Minor (now called Turkey). 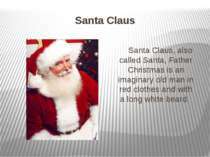 He was a very kind man and had a reputation of a man who helped the poor and gave secret gifts to people who needed it. 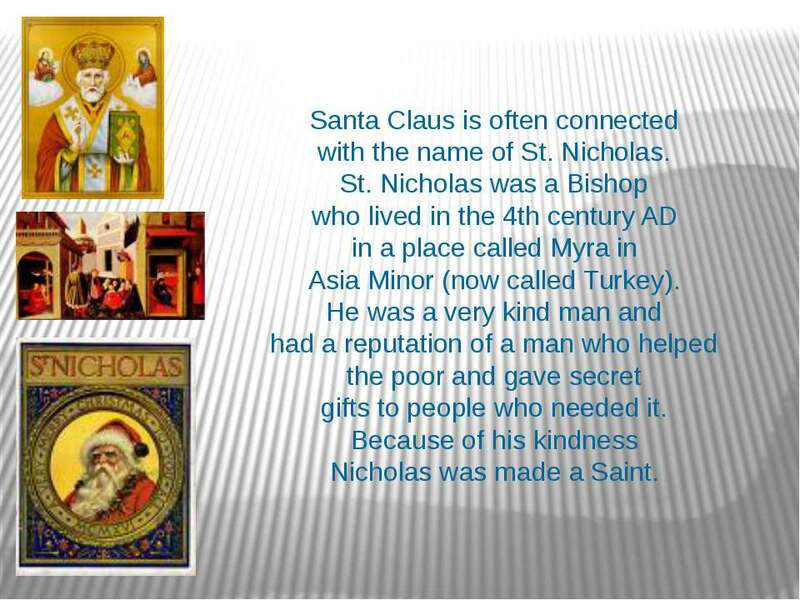 Because of his kindness Nicholas was made a Saint.